Mýrarkvísl in Reykjahverfi (Trout fishing). 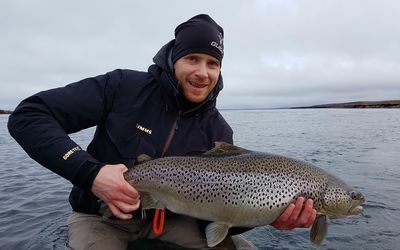 Lónsá on Langanes (Trout & Char fishing). Eyjafjarðará in the Akureyri area (Sea Trout & Char fishing). Litlaá in Kelduhverfi (Brown trout & char fishing). Laxá in Aðaldal (Trout fishing). Laxá in Mývatnssveit (Trout fishing). Brunná in Öxafjörður (Trout & Char fishing). Lake Langavatn (Trout & Char fishing). Lake Thingvallavatn (Trout & Char fishing). Jökla & Fögruhlíðará (Salmon fishing). Hofsá in Vopnafjörður (Salmon fishing). Hölkná in Þistilfjörður (Salmon fishing). Now that the 2018 fishing season is over we have started taking booking for 2019. The 2018 season was overall a great success with although we would have preferred a little stronger salmon runs over prime time. 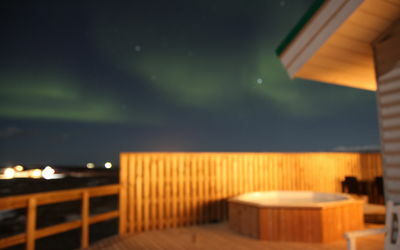 Salmon fishing and Northern lights. The fishing season will start in just over a month. Overlook of the 2017 season and we are booking for 2018! 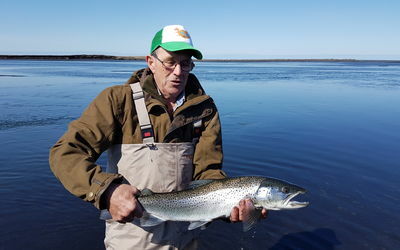 A fishing report from the Lónsá. 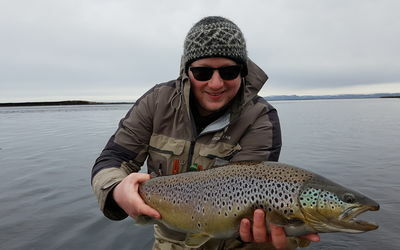 A great blog of the fishing on Mýrarkvísl in June by Callum Conner. 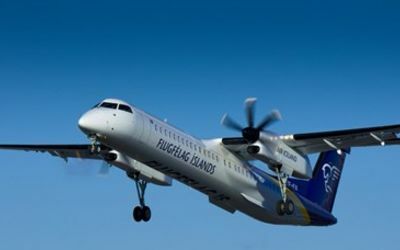 Domestic connection directly from Keflavík! Fishing day tours still going strong! More from our successful day tours! 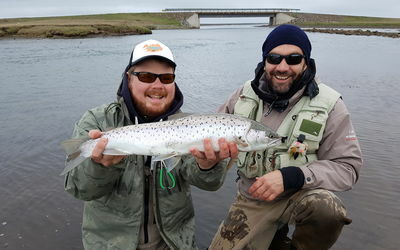 Still fishing well in our spring fishing day tours, on the Mýrarkvísl, Laxá in Aðaldal and the Sandá. The snow is melting slowly into the rivers so we have not seen any spring flooding. Here are a few photos from the day tours the last few days. 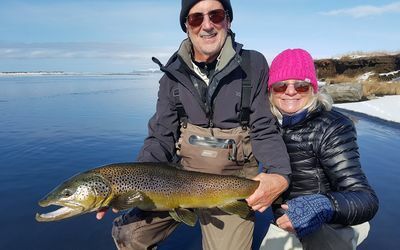 If you are interested in a fishing trip with an experienced guide at your side and discovering Iceland, our extraordinary country of fire and ice please contact us. 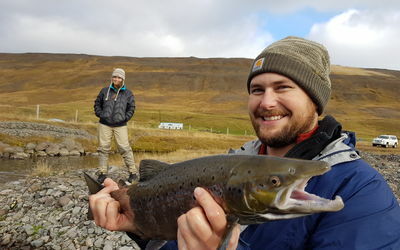 Iceland Fishing Guide was formed in 2009 in the purpose of inviting anglers from around the world to come to Iceland and make use of the experienced we have gained through an endless urge to explore new water and get to know them well enough to be able to offer the same experience to others. The company has grown a lot over these years and we are now proud lease holders on various rivers and beats in Northern Iceland and is Mýrarkvísl at the top of our list. 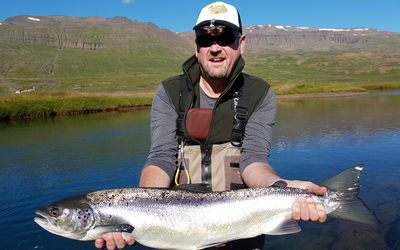 Iceland Fishing Guide is a licensed tour operator by the Icelandic tourist board. 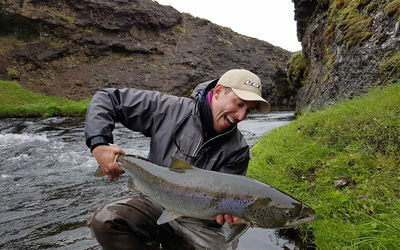 Iceland Fishing Guide is a licensed travel agency by the Icelandic tourist board.